Jenny Holtermann and her husband are both fourth generation farmers in their families. They currently farm almonds with his brother and father, Holtermann Bros Ag. in Wasco, California, north of Bakersfield. Jenny’s family has been using Weiss McNair equipment for as long as she can remember; her husband’s family for nearly 30 years. Jenny’s family started farming in Chico, California in the early 1900s. Her grandfather, father and uncles started planting almonds in the late 1960s. Her father, now deceased, has always been a loyal customer. When he was getting back into using harvesting equipment, he went straight to Weiss McNair and didn’t even think about an alternative. Her husband’s family started farming in Wasco also in the early 1900s when his great-grandfather settled there to farm. His grandfather planted almonds in the 1970s and they’ve been farming almonds ever since. Together, Jenny and her husband are raising the next generation hoping their kids will want to farm too. The current sweepers owned by Holtermann Bros Ag. are 10 to 12 years old and have proven to be strong, superior equipment that lasts. The JD80 Low Profile Sweepers used in the Wasco orchards is a favorite of Holtermann Bros Ag. 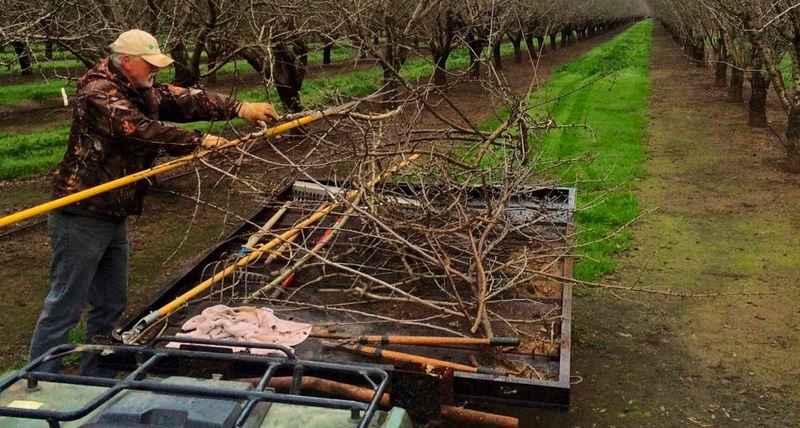 Because the equipment is lower to the ground, making it easier to sweep under low hanging limbs and branches we have in south valley orchards. George Nicolaus of Nicolaus Nut Company has been in the agricultural business for 40 years. Thirty of those years has been in the orchards near Chico, California; and for 29 of those 30 years they’ve been using Weiss McNair equipment. 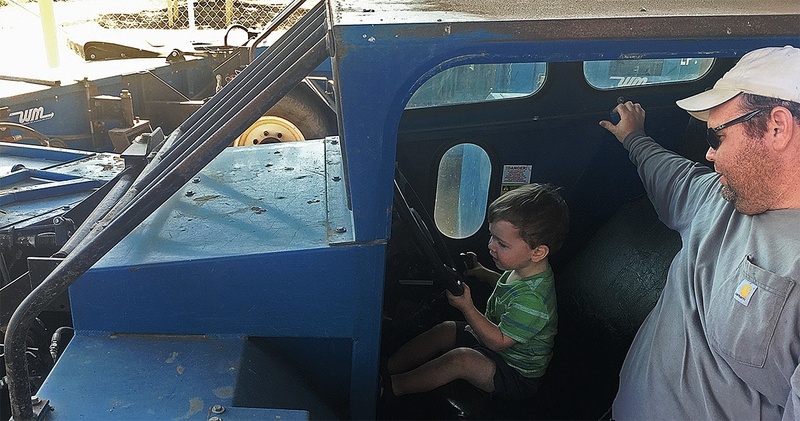 His first machine was a sweeper. It was used when he bought it and had its own idiosyncrasies - like every machine does - but he’s owned a lot of “Blue Iron” (as he refers to Weiss McNair equipment) over the years. Nicolaus Nut Company owns two of the Weiss McNair JD80 sweepers and a new 9800 Harvester they recently put into service because the equipment does the job it’s meant to do. Equally as important, the Weiss McNair team takes the time to make it right if an adjustment needs to be made, and if something’s broken they always have the parts on hand. If there’s a real problem, Weiss McNair does their homework to determine what’s wrong and does their best to make it right.